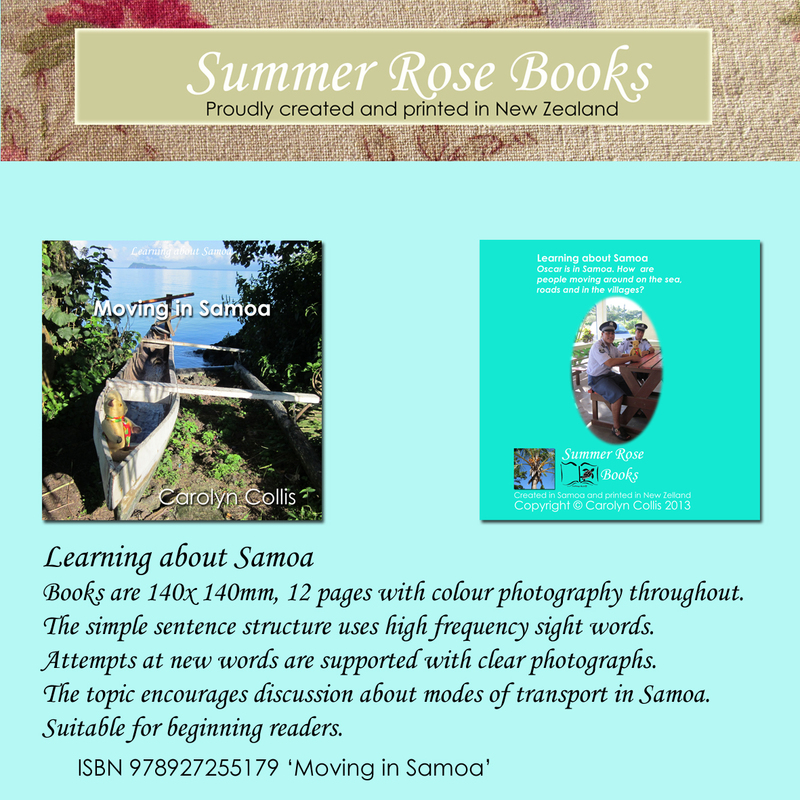 Books are 140 x 140 mm, 12 pages and colour photographs throughout. This title is one of a series of books introducing life in Samoa. These books are suitable for the beginning reader.